The SARs police officer who r*ped and impregnated the viral young lady Ochanya when she was 15 years, was eventually arrested. He was picked up yesterday by the IGP special squad. This young lady has been suffering from the tender age of 7 after her Parents died and her Uncle who was supposed to protect her and take care of her was instead molesting her. 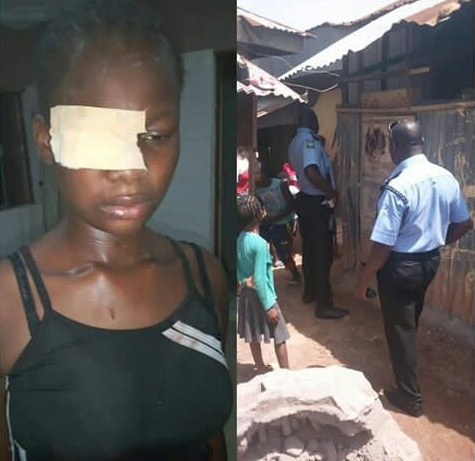 The young lady is now in the hospital receiving treatment for her injured eyes and being rehabilitated.